order now In recognition of their dedicated volunteer service to the public and Mission Trails Regional Park (MTRP), city of San Diego staff and the MTRP Foundation staged the 23rd annual Volunteer Awards Celebration, an opportunity to acknowledge the service of the 1,744 individuals who volunteered at Mission Trails in 2018. 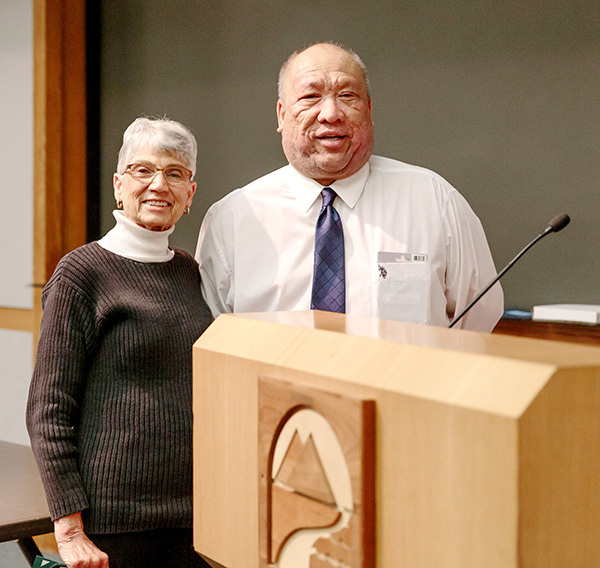 These volunteers worked a total of 17,345 hours of service, the equivalent of $428,248. 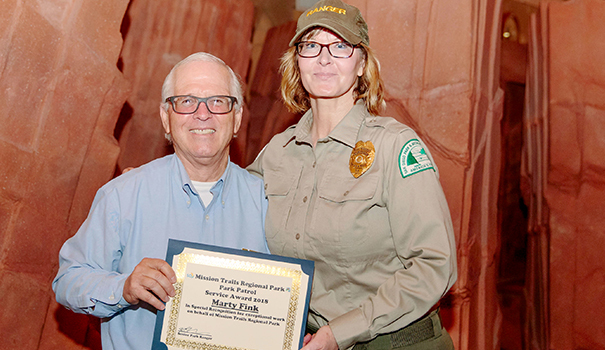 At the event, a dinner hosted by the MTRP Foundation preceded an awards ceremony where volunteers were recognized for their dedicated service to the park. Senior Ranger Ryan Robertson provided updates about the park — including the status of the new field station currently under construction in the East Fortuna Staging Area. 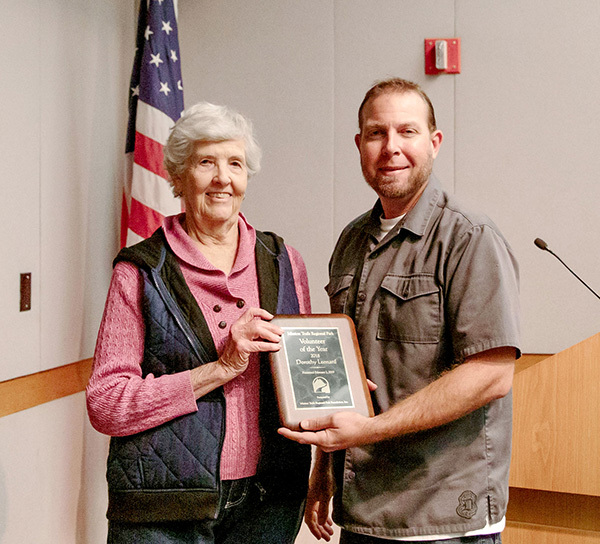 MTRP rangers presented awards in their respective focus areas, and individual volunteers received awards, certificates from the city of San Diego and Councilmember Scott Sherman, and gift cards from the MTRP Foundation. 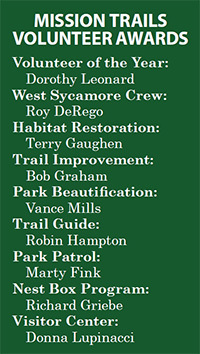 For information about one-day and ongoing volunteer opportunities at Mission Trails Regional Park, visit mtrp.org. Engage with and support Mission Trails Regional Park (MTRP) by entering the 27th annual Amateur Photography Contest! The MTRP Foundation has staged the contest as a way to encourage photographers of all ages to capture their experiences of MTRP through the lens, and share their unique perspectives with the community. The images can include these categories: plants, animals, people, and landscapes; and the contest divisions include children age 12 and younger, teens (13-17 years), and adults (ages 18-plus). Entries will be displayed at the MTRP Visitor Center from May 11 through June 21, with an awards reception on Sunday, June 9. Photo contest entries must be received by mail or dropped off at the MTRP Visitor Center by May 3. For more information including contest rules, prizes, and an application, visit mtrp.org. — Jennifer Morrissey is executive director of the Mission Trails Regional Park Foundation.